True bay house. 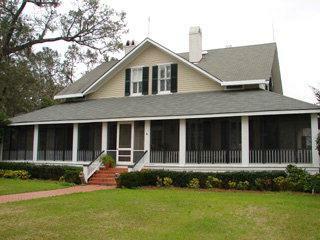 Close to 2 acres with 112 ft front wrap screened porch. Gunite pool. Duplex guest house. 1792 sq ft 2 master suites. 4 fireplaces gas logs. Renovated in 1995. Over 12ft ceilings.